ADATA Technology has launched a new USB 3.0 Flash drive, the S107. The S107 offers a new approach to shock-resistant designs and SuperSpeed USB 3.0 interfaces, with an improved outlook and design. Targeting the modern crowd with an on-the-go and mobile lifestyle, the S107 combines a sporty modern look with military grade shockproof and water-resistant construction. ADATA says the exterior of its S107 drive is constructed of a unique silicone rubber, making it ideal for travelling and excursions. The company further says users now need not worry about the data loss due to accidental drops or spills, which causes irreparable damage in conventional storage devices. In performance terms, the S107 utilises the latest USB 3.0 transfer interface, achieving read speeds of up to 100MB/s. Compared to a standard USB 2.0 device, backup of data files is three times faster, with enhanced performance significantly reducing transmission time by 70 per cent. The ADATA S107 comes in an curved arc design and vibrant colours, and also combines practical design features, such as a convenient slot at the back of the drive for holding the cap when the drive is in use. 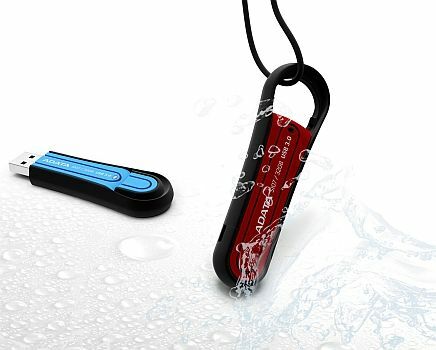 The drive is available in two colour schemes - scarlet red and wild blue. Initial capacities available will be 8GB, 16GB, and 32GB. 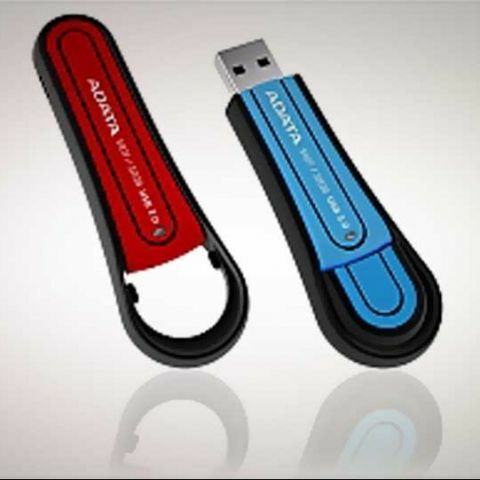 Additionally, purchasers of ADATA USB drives are eligible for free download of the latest Norton Internet Security 2012 antivirus software (60 day trial), and utility backup software UFDtoGo.